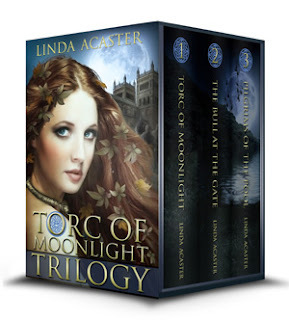 After hours of fun last week, the digital boxed set of the three Torc of Moonlight novels is finally available for pre-order - launching 8th December. 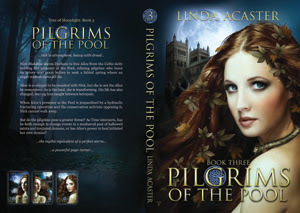 The novels concern the resurrection of a Celtic water deity in an area of what is now the North York Moors in England. Ritual deposits in water courses are a given in archaeology, and I use the ultimate - a sword - in Book 1 to kick off the trilogy. Yet ritual deposits are not simply something of far off history; they continue to this day. Have you never tossed coins into water hoping for 'good luck'? If you live in the UK and stand still long enough to consider your own surroundings, you'll find it uncannily easy to discover echoes of water worship close by. I live on the coast in East Yorkshire. Within a few miles, in one village there is a Bugg Lane leading to a quintessential village duck pond - Bugg, like Boggle, is an old word for ghost or apparition - while in another village the written history mentions remembered folklore of a White Lady appearing by the local spring-head. Is there a medieval Christian church in your vicinity named All Saints or All Souls? Their dedicated feast days are 1st and 2nd November, All Hallows Eve, a time of vigil, being 31st October. Close by there will be, or will have been, a community water source used for autumnal divination rites as well as everyday drinking. Their pre-Christian deities, demonised so long ago, give us modern Halloween. Even the celebrated summer Well Dressings in parts of Derbyshire and Staffordshire, now a tourist industry of its own, cannot truly camouflage their ancient origins. Three novels, formatted to (almost) perfection, to be amalgamated into a single file for a trilogy box set. How problematic can it be? Quite a bit, as it turns out. And it’s down to technology, or the incremental improvements in technology. During the period it has taken to write and launch the individual novels into the digital world I have changed computers twice, and the version of Word probably three times. Who keeps count? The first flag came when I emailed the file destined for Amazon to my Kindle for a check. My shortened internal Table of Contents worked fine, but the bookmark did not connect with the Kindle’s Go To button to allow readers to link to it. Mmm. Most of my titles are available on Amazon, Kobo, iBooks, and Nook. However, as I don’t have a Mac computer and I don’t live in the USA, I use a distributor to intercede on my behalf for the last three. I use Smashwords. There are others. So I altered the file slightly and uploaded to Smashwords. There were no autovetter flags and the mobi format transferred to my Kindle worked first time. Brilliant! Except within hours I’d had an email from Smashwords saying the ePub’s NCX list was not corresponding to the internal Table of Contents. Cue loud groan from me. Which was when I sat back to consider why I was having problems when I don’t usually. Ah, changes in technology were inputting unseen code, probably countermanding one another. I could see only one option: Nuke the file. The term comes from Smashwords’ own Style Guide – How to Format Your Ebook. No matter which digital retailer is used this free download is both extensive and written in the language a non-techy can understand. The ‘nuclear’ option, when all tweaking fails or, as in my case, I’ve no idea what to tweak, is a fail-safe method of clearing all unseen code. The Word file is copied and pasted into Notebook, and from Notebook it is copied and pasted into a new, fresh, Word document. Then the formatting is re-applied via Styles. Say it quick and it doesn’t sound much, but for a trilogy it is time-consuming, to say the least. And this is where I’m at. Having the old file and the new file side by side for guidance, all the indents, centres, emboldens, and page breaks have been reinstated, and I am halfway through reinstating the 927 instances of italicised text. Word is good, though. On the old file Enter italics into Search and Replace, tick Highlight, hit Find All, and it does just that, allowing me to slide through the pages. Note to self for the next novel: Use fewer italics. You can't have missed it. Every shop on the High Street has a Christmas display. 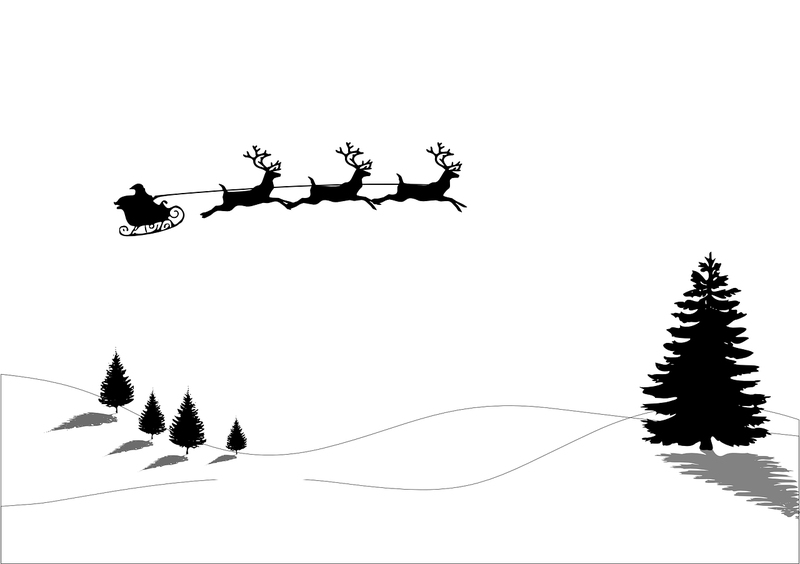 Publishers are launching their titles for Christmas, or should I say, for Christmas presents, and Indie authors are no different. Well, a little different. Here they are offering a short, an extract, or a full novel, either free or for 99p / 99c. It's their shop window, a lead into each author's catalogue. First up, The Prolific Reader Everything Fantasy, from epic to urban to humour to historical. 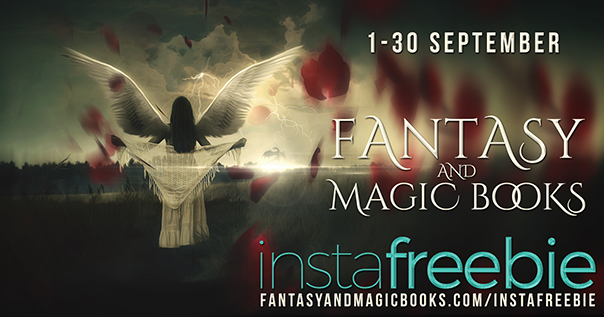 Although the promotion is being run in conjunction with InstaFreebie for ease, the landing page will still be live after 10th November, and links to other genres are offered in the column alongside. Second up, is Fall Gods & Goddesses of the Past You guessed it, Old Time religions feature heavily here, from Egypt to China, from Viking Asgard to Celtic water spirits, immerse yourself. 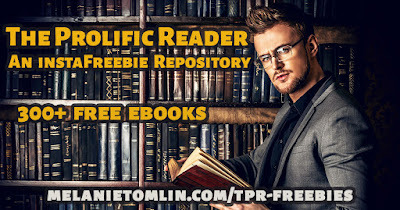 Downloads via Instafreebie. 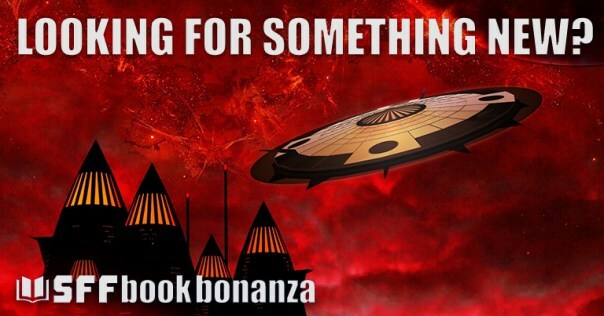 Running until 15th is the SFF Ebookaroo offering over 80 titles in all sub-genres of speculative fiction. You'll even find a collection of my horror shorts in this one. Downloads via Instafreebie. And finally, only because it isn't supposed to be live yet - hint: most of them are already live, go check - is a no-sign-up Romantic Speculative Fiction promotion at 99c / 99p. There are 21 titles including a box set and an anthology of short stories whose authors have donated their profits to Bookbus, a charity combating illiteracy. And what better Christmas gift than that? All in all, enough to keep you going well into the New Year. But do return next weekend, when I should have news of my own [cue mysterious music...]. England has never really gone in for anarchy and revolution to the extent of some other countries, but it has had its near misses. The one still recalled, and celebrated as "Bonfire Night" or "Guy Fawkes Night", is the attempt in 1605. The plan was to destroy the House of Lords during the state opening of Parliament, thus murdering the leading members of the English aristocracy and assassinating King James I and his family. This was to be expedited by exploding 36 barrels of gunpowder secreted in the building’s undercroft. Guy Fawkes, known at Guido Fawkes or by the alias John Johnson, was the man found waiting to light the fuse, though certainly he was not one of the ringleaders. Revolution tends to brew for a long time. The Protestant Reformation had been gathering pace in Europe for nearly a 100 years. In England, in a long-running spat with the Catholic Church in Rome, in 1526 King Henry VIII declared the country would abide with the newly-created Protestant Church of England, himself at its head. After his death, his daughter Queen Mary I briefly returned the country to the sort of Catholicism that burnt 300 churchmen at the stake as heretics. Henry’s second daughter, Protestant Queen Elizabeth I, had to cope with the fallout, both at home and abroad. These included several attempts on her life instigated by her excommunication by the Pope, and culminated in the infamous Armada sent by Spain in 1588 to invade, conquer, and return England to Catholicism. State sponsored terrorism is nothing new. In this light, when the heir-less Elizabeth died in 1603, and the throne was passed to Protestant King James I of England and VI of Scotland, there is little wonder that the country’s burgeoning secret service was keeping an eye on dissenters at home and fomenters abroad. Mirroring today, it knew something was afoot, but it took a letter warning a Catholic member of the aristocracy not to attend the opening of Parliament to pull the threads together. Guy Fawkes was caught red-handed, and the murder-intent dissenters either died in the fight to apprehend them, or, like Fawkes, were taken prisoner, tried, found guilty of treason, and hanged, drawn and quartered on 31 January 1606. Subsequently, 5th November was proclaimed a Day of Thanksgiving ‘for the joyful deliverance’ by an Act of Parliament which was not repealed until 1859. Currently, the BBC is running a dramatisation mini-series, Gunpowder, which evokes well the period, the animosities and the obsessions. If you are reading in the USA, keep an eye on the schedules for BBC America. The way the British, at least the English, celebrate Guy Fawkes Night or Bonfire Night, has changed in my lifetime. When I was a child it was taken very seriously by local children. 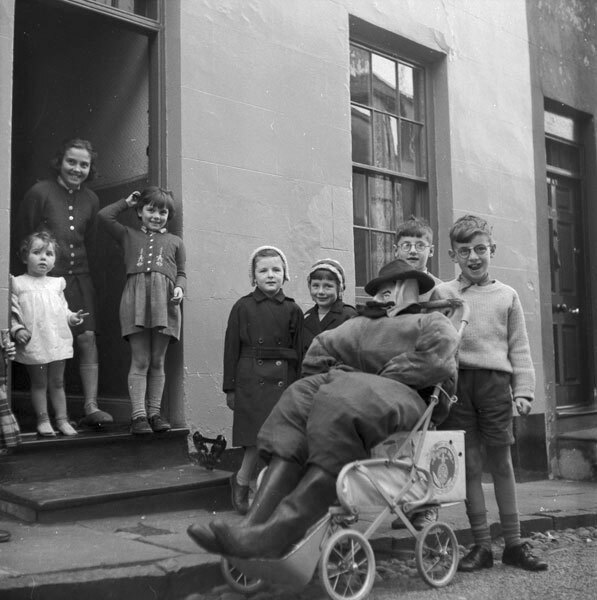 Bonfire fuel was collected during the preceding week, a ‘guy’ was constructed from old trousers and a shirt stuffed with newspapers and given a hat, to be taken door to door on a bogey, a form of home-made go-cart, to elicit funds for fireworks: Penny for the Guy! 4th November was Mischief Night, when the same youths would lift gates from hinges of households they deemed hadn’t coughed up sufficiently, doors would be knocked on and an escape made before the owners answered, and so on, though few would have equated such annoying pranks with the mischief the Gunpowder conspirators enacted four centuries before. 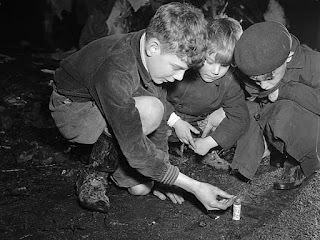 During the evening of 5th November most family gardens held a small bonfire party, with hand-held sparklers and a box of fireworks, and everyone watched the neighbours’ rockets light the sky as they munched on potatoes baked in the embers of their own fire, alongside treats such as Yorkshire parkin and gingerbread. It is interesting to note - see my last blogpost - that the Celtic end-of-year festival, Samhain, would still be in evidence in the 17th century, when breeding cattle saved from the autumn slaughter were driven through the dark smoke of bone-fires to help cleanse them of parasites. Perhaps the government had more than one reason to create an Act of Parliament setting the 5th November celebration among the statutes. The need for Health & Safety regulations! 5th November celebrations are now a faint echo of what they once were. Thanks to the rise of Health & Safety regulations, and the sheer cost of fireworks, most people attend organised firework displays where political correctness frowns on an effigy being burned on the bonfire – if there is a bonfire. And perhaps that is as it should be. Mischief Night, too, is a near-forgotten tradition, or more likely merged into the Americanised version of Halloween now so prominent, complete with that foreign fruit, the pumpkin. What would the Conspirators have made of that? Note: The rhyme is part of a 19th century folk verse. This year, Halloween in its purest form probably falls on 4th November so as to align with the full moon, but then we should, perhaps, call it Samhain. But don’t let that distract you from your ‘trick or treating’. Though if you are in the UK you really should be bobbing for apples, and if you are in Mexico perhaps you should be honouring recently deceased family members in Día de Muertos, probably because the government tells you to. It certainly wasn’t a country-wide observance back in the 19th century. Only the indigenous peoples of southern Mexico had a similar festival, except that was held at the start of summer. This is the problem with Halloween – the vigil of All Hallows Eve – marked for the Feast of All Saints the day after, and the day after that, the Feast of All Souls. It has always been a movable feast. Back in the day, when Christianity was intent on becoming the dominant religious force, the Church moved or invented festivals to coincide with deeply-ingrained pagan observances, most of which were Nature-aligned. Think Christmas and Easter. 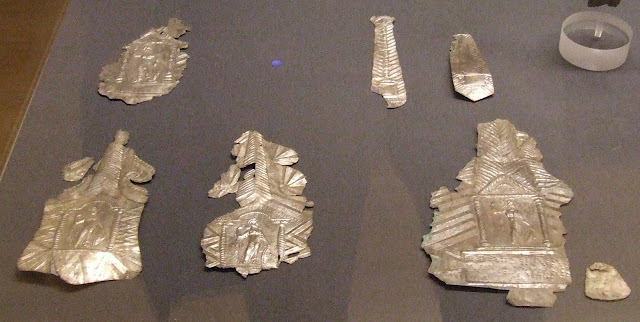 For Celtic peoples, Samhain celebrated the agricultural year’s end during which divinations were undertaken to glimpse the impending fortune of the people. How many of those divinations were water-based no one truly knows – but it seems a very high percentage going by the number of extant medieval stone churches named All Saints, or All Saints & All Souls, doubtless built on the foundations of previous Saxon churches often built of wood but carrying the same dedication. If you are living in the UK you’ll have one within a reasonable distance. A bit of detection should locate the water source close by. Yes, that quaint hand-pump wasn’t always attached to a spring source. Or how about that picturesque brook which never runs dry even during the driest of summers? Like all PR, repeat the message often enough, ridicule, or in this case demonise, past beliefs, and at first the ‘folklore’ is questioned; eventually it is forgotten. 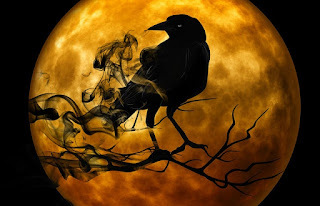 When it is resurrected – a sort of neo-Samhain – 'trick or treating' is what you get. Especially when there’s a good helping of PR behind it to make cash registers ring. Ever thrown coins into a “wishing well”? Who are you expecting to respond? Writers need their creative wells replenishing now and again, actually a lot more than we allow. As I am between novels now is the time to smell the flowers. Or in this case, view the Art. I was born in Kingston upon Hull and it remains my nearest city. This year good ol’ ’ull carries resplendent the title ‘UK City of Culture’ and, despite the inherent pessimism of its population, what a year it has become. The 3,000 orange barriers littering the city centre during renovations in the run-up to the New Year, which became an artwork in their own right after the local paper ran a tongue-in-cheek competition for readers to guess how many were in use, soon made way for Blade, the first hand-made turbine blade coming off production at a nearby green energy site. Viewing these blades turning at a distance is one thing; it’s quite another to see one arcing across Queen Victoria Square so double-decker buses could travel beneath one end while pedestrians could touch the other. 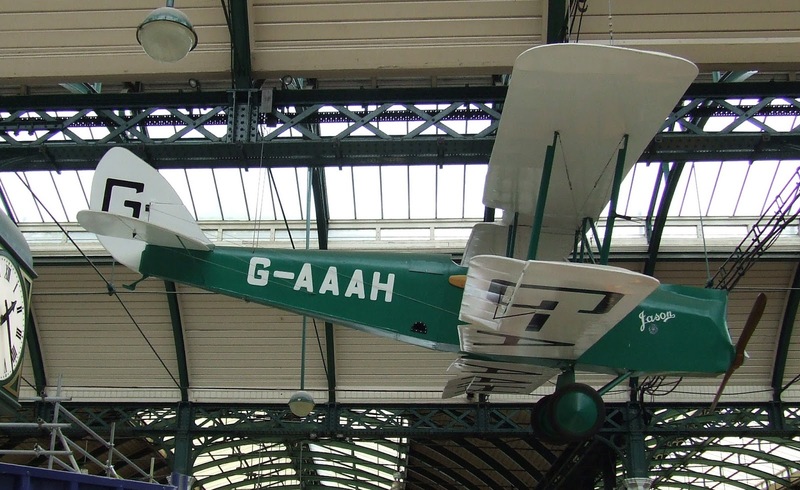 With that and the light show portraying Hull’s 20th century history across its iconic buildings, 'Culture' soon became a word of optimism to be burnished by everyone. Apart from the Freedom Festival, part of which was held in Queen’s Gardens on the weekend I attended FantastiCon, I’ve not attended many of the myriad events which have been on offer over the intervening months. So when the shortlisted artworks for The Turner Prize took over several rooms at Feren’s Art Gallery at the same time the Maritime Museum opposite hosted a clutch of the actual JMW Turner’s paintings in Turner and the Whale, a date was set for a visit. Vote with your feet, the saying goes. We did, right down to exhaustion setting in. The Turner Prize is vaunted, or derided, for being very left field, but the exhibits of the four artists chosen proved thought-provoking. Turner’s paintings of the whaling industry of his day were no romantic renditions, either, despite his impressionistic use of colour. Alongside scrimshaw work, and the cold, hard colours of the Arctic in paintings by working mariners, it carried the same thoughtful pull at my subconscious. We finished the triad at the nearby shopping centre to view The Elephant in the Room, a life-size Bowhead whale suspended from the roof in a confetti of 12,000 fragments of paper. Beneath it, to my surprise, was an exhibition of the most fantastic travel photographs taken by Under 16s. From there it was hot-foot to Holy Trinity Church, now Hull Minster, to view the A Hall For Hull installation - aka ‘the bird feeders’ - though lining up the six metre tall metal cylinders to create the three visual effects proved harder than time allowed. Then it was down to the Central Library to point and smile over The Tool Appreciation Society, an exhibition of 20th century hand tools, most of which my family seems to be storing in our garage, even down to the ubiquitous St Bruno baccy tin used by men of earlier generations to store bits and pieces. Somehow I can’t see modern electric tools being handed down with the same love and care. 'Fly to Freedom' mosaic birds, and the "glass cases"
It was a short walk to Paragon Railway Station to view both Fly to Freedom, locally made mosaic birds soaring across the walls, and The Train Track and the Basket, images on the arched windows, both of which remember the two million people who, between 1848 and 1914, arrived in Hull by ship and left by rail to continue their journeys to ‘the promised land’ - mostly America via Liverpool. This includes ancestors of my father – who arrived by ship but, for reasons unknown, never left the city. While I was taking photographs of these exhibits that my eye was drawn to the many varnished glass cases fastened at eye level to the walls. What did they commemorate? Ah, the many who left by train for World War 1 and never returned. And there he was, my grandfather, JA Kammerer, Private, Middlesex Regiment. There are 21 cases fastened to the entrance walls between the windows of Paragon Station. 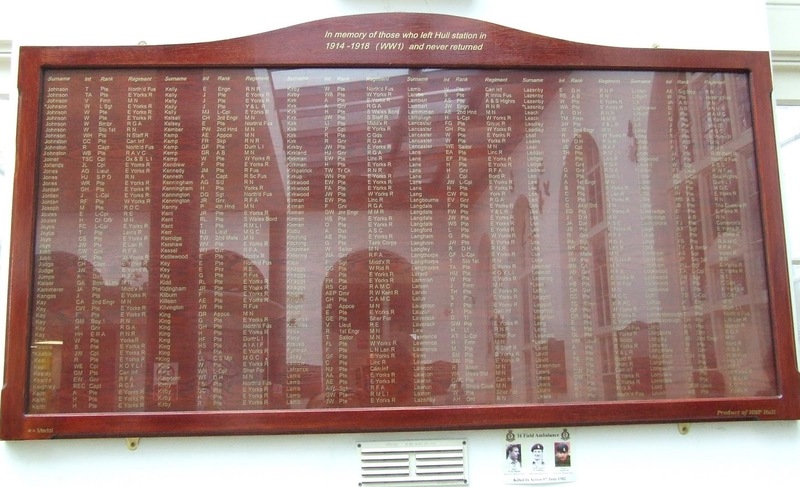 Each case carries 4 lists; each list 52 names. 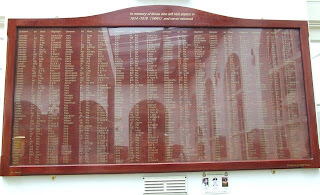 That’s 4,368 named people who left Hull by train and never returned. My grandfather among them. Art is never just art. Plaques are never just plaques. I should take time to stand and stare more often. 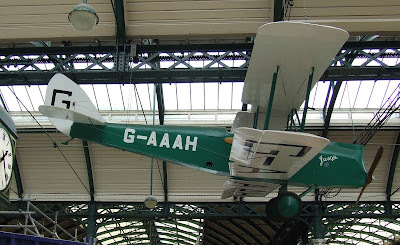 Note: the full-size replica of the Gypsy Moth flown by local woman Amy Johnson in her record-breaking 19-day flight from London to Darwin, Australia, in 1930, and the plaques commemorating those who left Paragon Station for WW1 and did not return, were created by inmates of Hull Prison. Last weekend I was missing from the blog because I was in Peterborough attending the three-day extravaganza that is FantasyCon - a writer's and reader's delight of panels, readings and book launches. And the odd bit of imbibing at the bar. It's not a place to see a Star Trek outfit being paraded, though there were an awful lot of black t-shirts. It is a place where the written and spoken word is ALL. Fantasy is one of those huge umbrella terms which covers everything from pre-teen cuddly yomps, through Historical and Epic Fantasy, to Slipstream and Myths, to Dystopia, Grimdark, and Horror, and it includes poetry. The choice was amazing: 38 panels and 12 reading 'hours' on the Saturday alone. Finding time to eat became a tad problematic. The Women in Horror panel was a bit of an eye-opener and I may well stretch my limbs a bit more in that direction now the Torc of Moonlight trilogy is completed. Likewise, Small Press Publishing and Writing for Audio brought a pause for thought and a few websites to investigate. My own reading, on the Saturday at noon with three others under the banner of Contemporary Fantasy, went well enough, if to a small audience. But at least we had one. There was such a choice not every reading did. But that's the luck of the draw. I would have loved to have attended the Horror reading at 10pm Friday, but alas the alarm going off at 4.45am for the train south took its toll. I should drink stronger coffee. Many thanks to everyone who attended and offered their time and expertise. Especially to all the red-jacket volunteers who gave up much of their own time to keep everyone heading in the right direction, and to Peter Flannery, author of Battle Mage, who sponsored the goody bags. I certainly over-filled mine with purchases, freebies and swops, enough reading material to keep me going for months. Now there's just the teeny problem of lack of bookcase space. FantasyCon 2018 will be held in Chester. I doubt it. Or maybe it could, but not via my hand. Why? Because I haven’t seen it. I don’t mean as in photographically seen. I mean in the sense of the imaginary lines that join the dots of stars in the sky to create named constellations: Cassiopeia, Pegasus, Andromeda, Ursa Major. The lines don’t exist; the stars aren’t close together, they just look that way from where we’re standing. That’s if you’re standing with me in the northern hemisphere. And some fella who may have been Greek, or an Arab, or... decided to see them that way, and everyone after him shrugged and went along with his vision. Call him a fiction writer, then. Of sorts. So what’s this got to do with an image of a British parish church? I was in Louth a couple of days ago visiting friends and we explored Saint James’ Church with the help of a volunteer. Not only is it a bit grand for a parish church, it is has the tallest steeple of any parish church in the country. It also has this – one of two remaining medieval wooden angels which stood high in the roof and now adorn a wall in an old chantry chapel once funded by one of the town’s medieval guilds. It also has this blue plaque. Do you see the lines? If you do, great. But I bet they aren’t the same lines I see. Food for thought. In fact there's enough meals for a starry night of what-ifs for a writer of fiction. When I next (next?) launch a novel it will not be during the summer months. Sales are slow, and reviews even slower. Authors shouldn't care about reader reviews - in fact I know authors who refuse to check theirs - but there is no denying that it is often the only feedback we authors receive. There is also no denying that reviews offer a peg from which to hang a bit of promotion. And then amid the drought a little rain does gently fall. Into my Inbox came the following. Why not on a retailer site? This reader doesn't do reviews but use what you like. So I am. It is so cheering when a reader not only "gets it" but gets it enough to say so. "...I couldn’t put it down! The plots that parallel Nick’s are sharply focused, and like all such “sub” plots the potential for stand free novels is obvious. What is also obvious is your deft, consistent (across the whole trilogy) ability to use “slight” material which generates a powerful presence for your reader: from a long list I’ll just choose material associated with medieval Ernald—Eco’s Name of the Rose Brother William of Baskerville meets Chaucer’s Friar!— it’s not just those blisters… the pairing him with the more world-weary reeve brings out the subtle difference in the character; we believe in him; he believes in the potential for good in his fellow human beings: his integrity is sustained. A glance, a phrase, a touch, all go towards his presence as a character, building by increments gradually. Understatement can often be more compellingly authentic than pages of description. I could never see Nick returning to the south… his home was always with Alice. I liked how you made the echo from The Bull At The Gate: the desecration of the Temple of Luna by the Christ men is paralleled by the desecration of the Pool by the opportunistic stealing of the water, and the fracking operation. And how fitting that in its new status the Pool will have a symbolic Keeper. 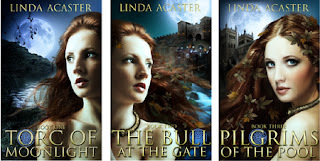 The trilogy works powerfully at so many levels, all bound up with history’s continuity. So, thank you for the trilogy; I enjoyed it very much, and, of course, look forward to the next..."
So yes, it gladdens my heart that the 'craft' has been noticed and appreciated for what it offered to the story. Most readers who do make the effort to leave a review concentrate on summarising the blurb and saying whether or not they enjoyed the read. To an extent, I've been guilty of this myself, though I do try to offer more. Writing a review for a novel, or a non-fiction book, is akin to viewing a piece of embroidery from a distance and giving a yea or nay opinion. Perhaps we should all step a little closer to appreciate the stitching and the subtlety of the colour combinations. 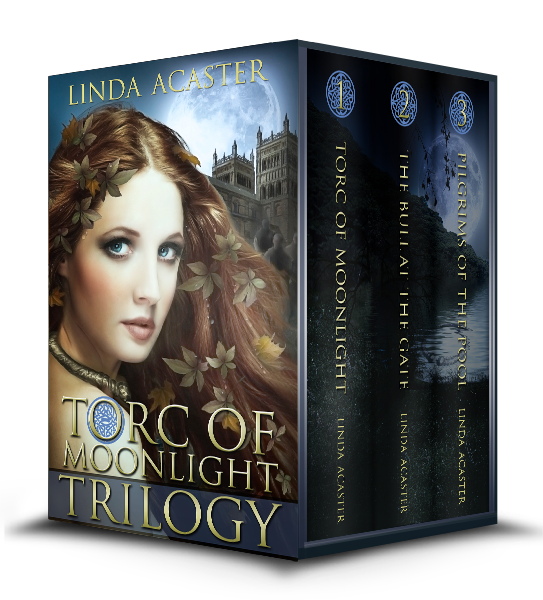 The Torc of Moonlight trilogy is complete, Hull's FantastiCon is over, and I'm gearing up for the British Fantasy Society's annual FantasyCon in Peterborough at the end of the month. As part of my RandR in between I'm slowly turfing out the house and hacking back the garden, but the digital promotion continues, nonethless. I'm interviewed on the Fantasy & Magic website with the questions focusing on why I chose to write the trilogy, and Fantasy in particular, and the evergreens of who my influencers were. It's never that simple, of course. I consider all Fiction to the Fantasy; to me, some elements of storytelling are just more fantastic than others. Authors tend to work in the dark with most giveaways, or at least the dark shadow, regarding the number of ebooks claimed. But with the new InstaFreebie group giveaways authors have access to a dashboard making it easy to see how many ebooks are claimed, both of their own and of the other authors in the giveaway. As I key in this post late Friday afternoon, 25 titles have been claimed more than 50 times; only two have had less than 10 claimed, and my 25% partial of Torc of Moonlight is one of them. Mmm... perhaps I need to rethink my 'partial' strategy. As far as I can see, mine is the only partial in the group. 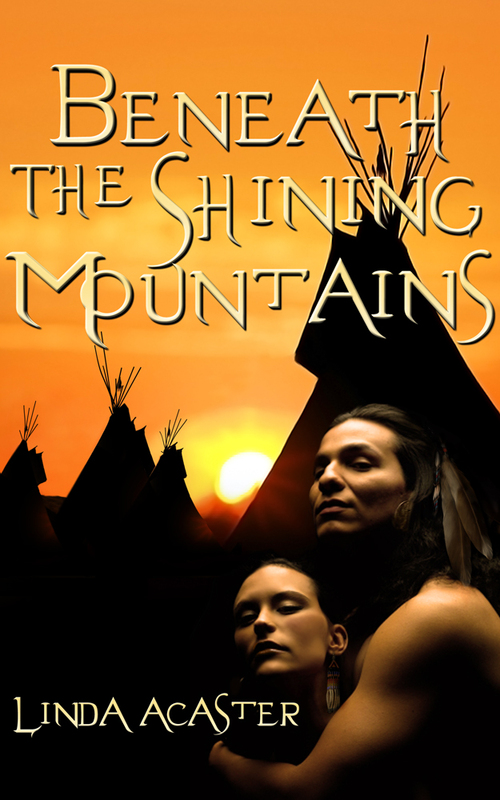 In this context, it will be interesting to see how my Beneath The Shining Mountains 10% KU sample does in the Romance Samples To Whet your Appetite! giveaway lined up from 10-30th September. Though I'm not entirely sure what the organiser's somewhat chilly snow scene brings to the group's landing page. Especially with no text. At the moment, though, all this promotion via giveaways is a toe-in-the-water testing for me. We shall see what we shall see. Exoskeletons and high-wire acts?? It must be Hull's FantastiCon! And it was, 2-3rd September. It was also Hull's Freedom Festival. This year Hull is UK City of Culture and the city is making the most of it in the biggest way possible. Even the weather came out to play, making a good show of the floral displays in Queen's Gardens (originally a water-filled dock; those are the original dock offices behind, now the Maritime Museum), and keeping the thousands of visitors in comfort while the Amazing Bullzini Family awed everyone with their gravity-defying comedy drama eight metres in the air. My photo shows one of their lesser (!) worrying escapades. I couldn't concentrate on taking photos when the two characters balanced on a chair; I was watching through squinted eyes. FantastiCon was held in the Guildhall just round the corner, and was no less awe-inspiring. I now understand what a NERF war is, thanks to the ubiquitous ten-year old who explained how it worked while reloading the magazine of a plastic automatic weapon. Put on safety glasses. Really? And then I discovered why. But it was great fun. Note Hubby, well-armoured behind netting, attempting to claim on my life insurance. Yes, he enjoyed it, too. And yes, that is "ammunition" all over the floor, not all ours, I hasten to add. FantastiCon is a doing Con, and lots of people had brought rigs, including Vesaro (above). How many buttons and switches and...?? Considering spectators come from miles around to watch me reverse-park my car, needless to say I just stood and watched. I did, though, have a go on the virtual reality rigs - my first time - and I can now understand the excitement over those. However, the magnets weren't all digital. Yes, big blokes hunched intensely over role-playing games with dice and pencil. And it wasn't the only table. There was a lot of interest in the various offerings. We also had a long chat with Chris Atkin, drone operator, sorry pilot, from Icarus Aerial Film & Photography, whose miniscule craft was producing high-definition images as it zipped in and around the various rooms - all good research material for an author. As was fascinating Dr Matt Dickinson and his Comic Book Science mini-lectures, hence the "exoskeletons" mentioned at the top of this post. So... you want to know if Iron Man's feats are feasible? Er... yes, and Dr Matt explained why. He'd also brought along a short tentacle, a la Dr Otto Octavius, which he moved from across the room by wearing that very small headset and his own alpha/beta brainwaves. No, I do not kid you. He had us all entranced. And then he put on a more sophisticated cuff and made Iron Man's hand clench and unclench. Want to know something really amazing? Neither items, nor the headset, cost more than £20 each. The headset came from Amazon - where else would you go for an alpha/beta brainwave headset?? - and all the components for both the hand and the tentacle were 3-D printed, and such printers can be picked up from... you're ahead of me. Best of all? Despite it being Comic Book Science at entry level for schools - if you're a teacher get on his website for the free code - ultimately it is all research for super-prosthetics to help the disabled. Awesome, yes? Well, that's FantastiCon for you in a nutshell. Oh, I also sold some books. But who cares about that? Now the paperback of Pilgrims Of The Pool has been out a week, and before I make decisions on my next writing project, I'm turning my attention to housekeeping, both of the physical type in the space I refer to as my office and my digital backlist. While I've been concentrating on Contemporary Fantasy, and to some extent my shorter Chillers, I've allowed my two Historicals to moulder somewhat unloved. Both Hostage of the Heart and Beneath The Shining Mountains were originally listed by mainstream publishers and became my digital test pieces when their rights reverted. They have served me well, but they could do being highlighted to a fresh audience. I like the covers, and there's nothing wrong with the content. They just need a bit of a push. So, for the first time with any title, I've removed both from multiple distributors and given exclusivity to Amazon for 90 days minimum. They have entered the realm of page reads within Kindle Unlimited. To leave them there without food or water will be to see them fade into more obscurity. So I've started a regime of promotion. I'm using small steps, starting with Twitter and FBook postings, followed by author cross promotions, before considering paid adverts probably with AMS initially. The trick is to discover what works to raise their visibility. As happens with these things, doubtless it will prove to be a mix of all three. The paperback has launched - all 335 pages of it! Yesss!! The Book Depository, despite not having the novel's cover up on its site yet, it is not only price-matching Amazon but is offering FREE DELIVERY WORLDWIDE. Cripes! Get it while you can. And it is doing the same with all my titles. See HERE for my authorpage, and HERE for Pilgrims Of The Pool. In the UK perhaps the quickest will be via Amazon.co.uk. North America is well-served for distribution, with both Amazon.com and Amazon.ca, and also Barnes and Noble. Some or all may offer free shipping to its country base, so please check before ordering. The only person missing a copy is me! I am left clutching the proof while my order arrives, some time this coming week. Then I shall be cracking a bottle of something sparkling. Do join me if you can - LOL! As mentioned in previous posts, I’m experimenting with cross-promotion marketing which targets a specific readership: those who particularly enjoy Speculative Fiction. Does it work? 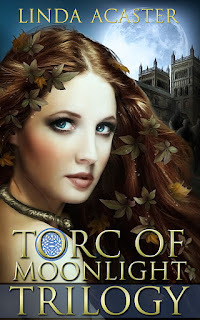 Or perhaps the better question is, Does it work for me and the Torc of Moonlight trilogy? It is certainly working better than my lone voice in the void, but I’m finding that even SpecFic readers are picky. They may be voracious consumers, but they like what they like. As a reader, perhaps I’m odd; I read all sorts of genres and sub-genres. 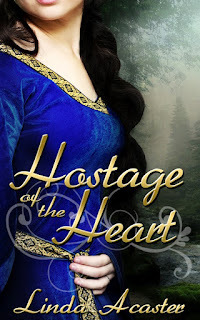 So after four months, in which I’ve drawn well over 1k new subscribers to my Newsletter, I’m changing my focus slightly and revving up the romance angle. That’s the beauty – or the problem – with writing cross-genre. However, I know from past experience that Romance readers, specifically readers of Paranormal Romance (PNR) are even more picky than SpecFic readers. It will be interesting to compare results. See you on the other side, if not exactly in another four months! A few days ago I had a friend enthuse about how I... can relax now the book is out. I nearly laughed myself silly. Only yesterday I had an exchange with an author about the merits of her setting up a pinned Tweet and asking interested readers to go and re-Tweet it. Jump HERE if you want to do the same for mine. Promotion & Marketing is an ever-evolving enterprise for authors, but without it the most well-written novel is liable to sink without trace. I belong to Facebook groups and am active in author cross-promotions. I have a YouTube channel for my book trailers, but am I using it to its full potential? One writer who is determined to do so is Paula M Hunter, a writer of speculative fiction who recently started The Bookshelf - a home for a series of 15 minute podcasts covering all the subgenres of her interest. 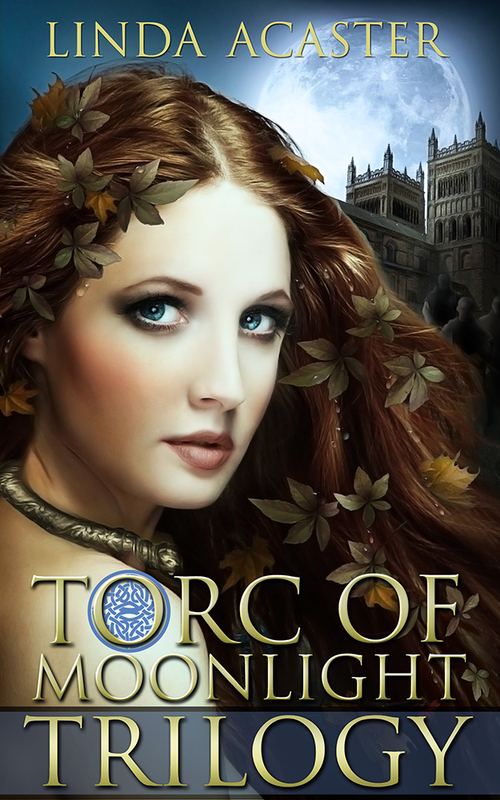 The current episode is devoted to Contemporary Fantasy, and an excerpt from Book 1 of my trilogy, Torc of Moonlight, was lucky enough to be the Featured Read. It can be listened to via the The Bookshelf website and is also available on its YouTube channel. Go give it a 7 minute listen. The second part is devoted to a writer from the USA, Kimberly Koz. I'm the person who doesn't own an iPod. Am I missing out here? Perhaps I should investigate further and make the most of my own YouTube channel. #Editing 13: Print After Ebook? 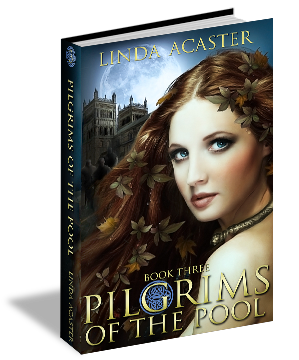 Pilgrims of the Pool is finished - except for the paperback. The ebook edition has been out about ten days, and many thanks to all my readers who have re-Tweeted, shared my Facebook announcement, and even bought a copy. I do appreciate the help to get it noticed. As expected, one of the responses has been Where's the print version? Mainstream publishers tend to launch print versions first, hardback, then paperback. Sometimes the ebook comes last, sometimes along with one of the print versions. The publishers' main intention is to maximise profit. Prior to the hardback release the publisher will have sent out ARCs (advance reading copies) aimed to maximise sales by having reviews ready to hit publications and retail sites on launch day. Well-organised indie authors also send out ARCs to their 'street team' volunteers for exactly the same reason, gathering responses to quote on book covers. This takes some forward thinking, and when have I been so organised as to work that many months in advance? Therefore I launch the ebook, promote it heavily for around a fortnight, and then start to check and format for print. By the time I've completed this I hope to have the first reviews in to be able to quote snippets, with permission, on the backblurb and the inside cover. As I key in this blog I already have two 5-star reviews up on Amazon, for which I am very grateful. A note on formatting for print. Most publishers simply use a single formatted copy for both, but ebook and print are two different sized reading experiences. Print can comfortably carry longer paragraphing, whereas an ebook is usually read on a smaller screen. And who wants solid text margin-to-margin? The added benefit is that the novel gets yet another proofread en route. So that's the state of play at the moment. 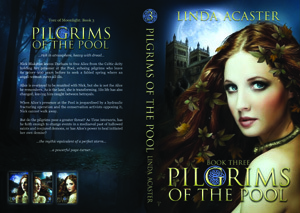 When Pilgrims of the Pool is available as a print copy, I'll let you know.